It was a chilly morning. But that had little effect on the mood as lovers of the beautiful game enthusiastically converged on Wentworth Arenas to participate in the first ever REAL MEN HAMILTON soccer tournament. The teams were split into two groups for the first round of matches. Teams ranged in skill level from very experienced to newly formed. Teams in each group played against each other. A win scored a team 3 points. At the end of the first round, the top two teams from each group advanced to the semi-finals. The winners of the semi-finals advanced to the finals. The tournament delivered a great mix of high level games and fun match-ups. There was no shortage of talent on display. The top scorer was Roberto from Fusion. His many goals won him a Brazuca (the official match ball of the 2014 FIFA World Cup). Fusion, the winners in the end, played a flawless tournament. They were without a doubt the most polished and skilled team in the tournament. They faced Men United, another strong team, in the final and emerged victorious with a 1-0 win. They were a delight to watch. Check out our smugmug page for more photos of the event. Expect a second tournament next year. It will be bigger and better in every regard. 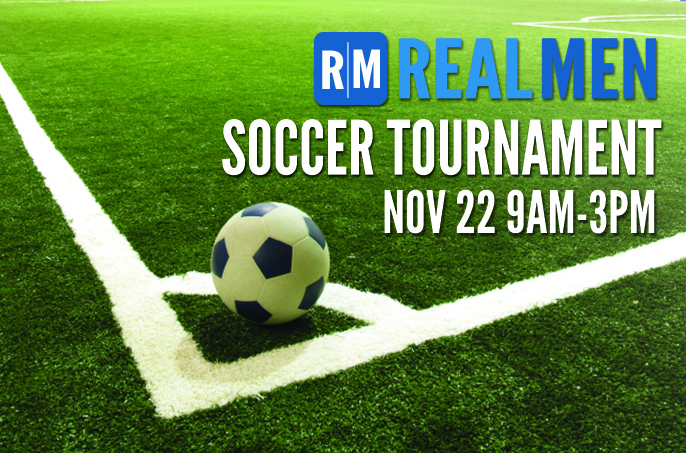 Don’t miss the Real Men Soccer Tournament on Saturday, November 22 9AM-3PM at Wentworth Arenas. 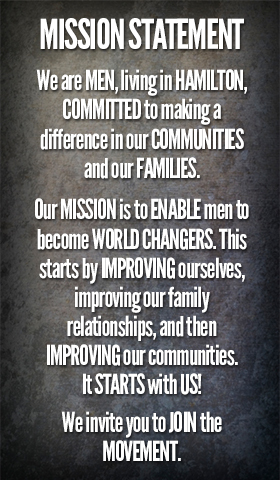 You are able to sign up as team or as individuals. Cost: $50 per team or $10 per individual. There will be a max of 8 teams consisting of 5-8 players per team. This going to be a great indoor soccer tournament with an emphasis on fun and relationship building. 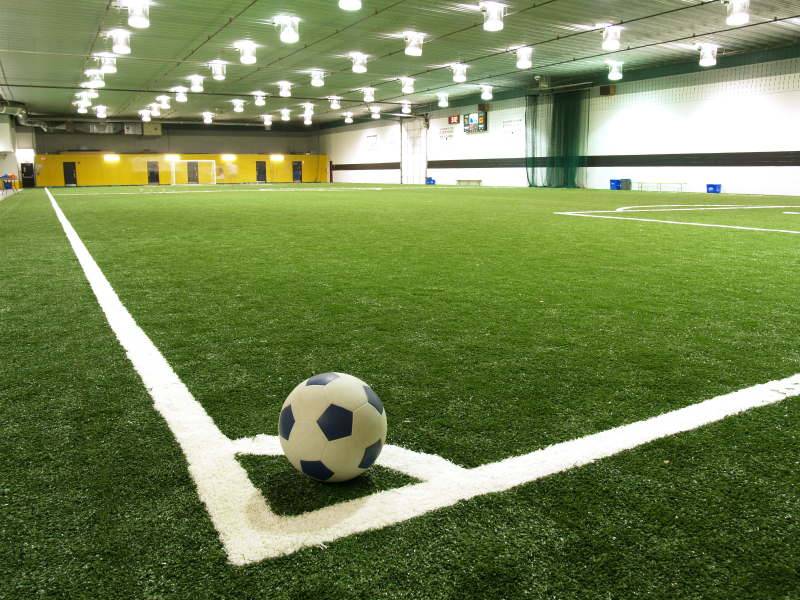 Join us for a great night of indoor soccer at Mountain Sports Complex (1185 Stone Church Rd E) this Saturday, the 27th, from 9pm – 11pm. Pickup soccer is a great way to stay fit without committing to a team. It’s also a great way to meet new people. This is an event for guys ages 17+. Bring your cleats and a friend. Hope to see you there! In a few days, the biggest single-event sporting competition in the world will commence. 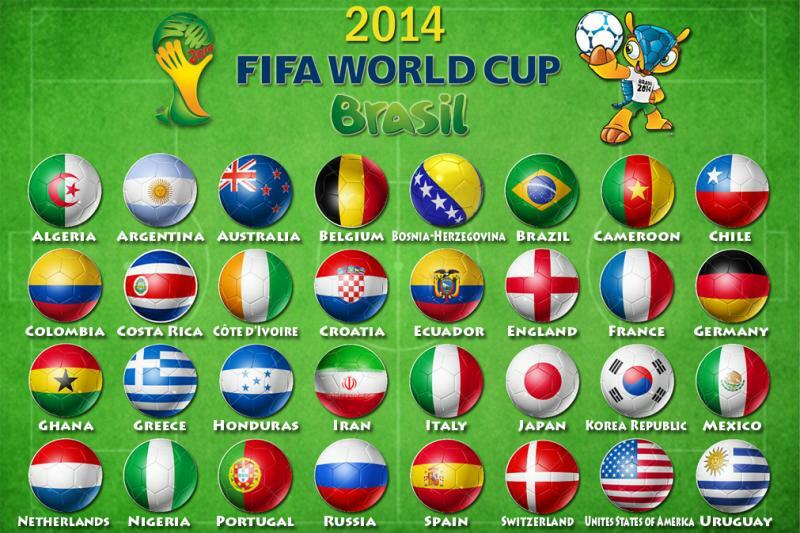 Brazil will be host to the 20th edition of the FIFA World Cup Finals. The competition has come a long way since its inception in 1930. The first edition, aptly christened the inaugural edition, was held in Uruguay and involved only 13 teams. The road to this year’s competition involved almost 200 teams battling to be one of 32 teams to compete in the finals. The official match ball for the 2014 FIFA World Cup is the Adidas Brazuca. The term ‘Brazuca’ is used by Brazilians to describe pride in the Brazilian way of life. Pele is the only player to have won the cup three times. With 210 goals scored, Brazil are the most prolific team in the history of the competition. Maracana stadium, the host of this year’s final game, holds the record for the biggest attendance at a sporting event in an enclosed stadium. 199,854 was the crowd number for the Brazil vs. Uruguay match in the World Cup Final on 18th of June, 1950. “All in one rhythm” is the official slogan for this year’s World Cup. Bonus fact: The fastest goal in the FIFA World Cup was scored 10.89 seconds after kick off by Hakan Şükür of Turkey. Spring is almost here and that means playing soccer the way it was meant to be played; outdoors on fresh cut grass with the sun beating down on you. I have nothing against playing indoors. I enjoy it also. But the playing field definitely adds a lot to the game and nothing beats playing on a well-groomed pitch. It is important to pick the appropriate cleats for the field on which you’re playing. This is especially true when playing a competitive game where attention to the seemingly insignificant things set you above other players. It is funny how very small adjustments can have profound impacts. When picking out cleats for a specific playing field, the most important thing to look out for is the type of outsole. This is the part that makes contact with the field. Firm ground cleats are the most common and versatile. They are designed to provide traction when playing on natural surfaces (i.e. grass). Soft ground cleats are good for wet, muddy pitches. They usually have metal-tipped and detachable studs. Hard ground cleats are used for hard sun-baked grounds or frozen fields. They have many short studs distributed evenly across the bottom. Turf cleats usually have rubber outsoles. The studs are also usually made of rubber. 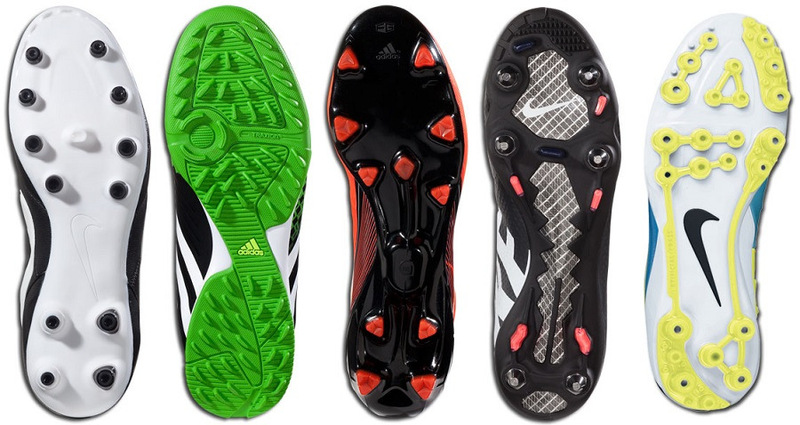 Indoor cleats also have rubber outsoles. They have no studs and are made flat. They are well suited for playing futsal. 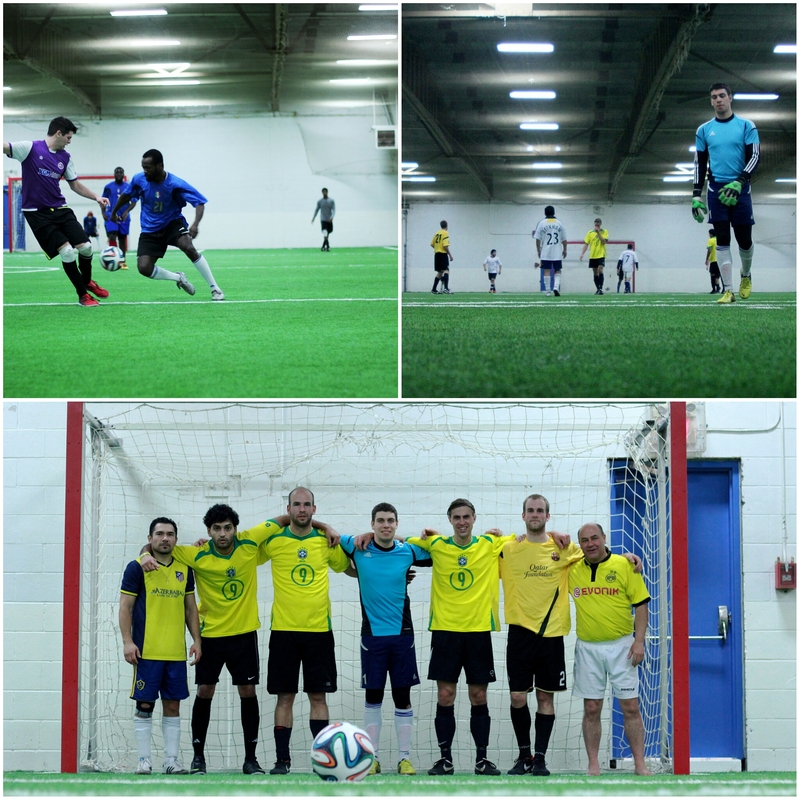 Join us for a great night of indoor soccer. Games are held regularly on the third Saturday of every month at Wentworth Arenas (1249 WIlson St. E., Hamilton) from 9PM – 11PM. It’s always a ton of fun with a great group of guys. Join us for our next meet-up on JANUARY 18th. All you need to bring are your soccer boots! Hope to see you there! Want more info, just drop us a line on our contact page.